Tamaya is an izakaya (Japanese bar/pub that offer a wide array of food to go with drinks) at the newly relaunched Cuppage Terrace. 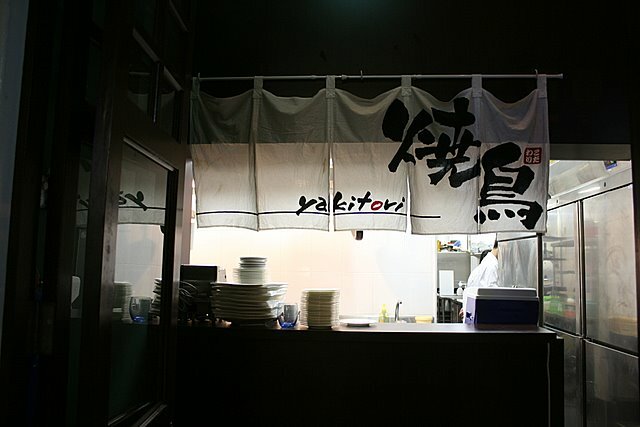 It's run by the same folks that own Ohsho just across the walkway at Cuppage Plaza. They are Japanese but have been in Singapore for a long time. The big boss is from Tokyo-Yokohama, so you may see influences from the Kanto region. 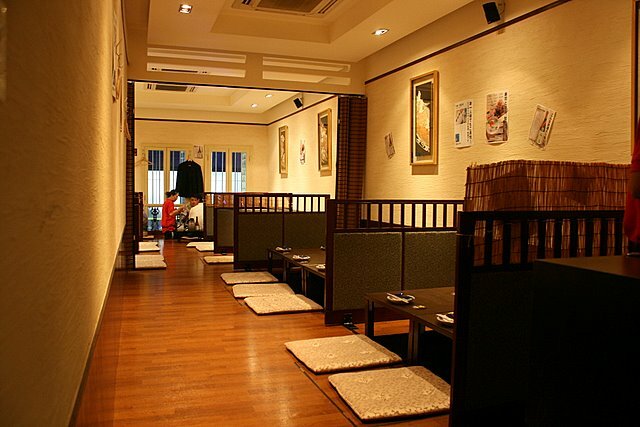 Apart from counter seats at the lower floor, Tamaya offers more dining space upstairs. Here are the traditional sitting tables, with recessed areas for legs. 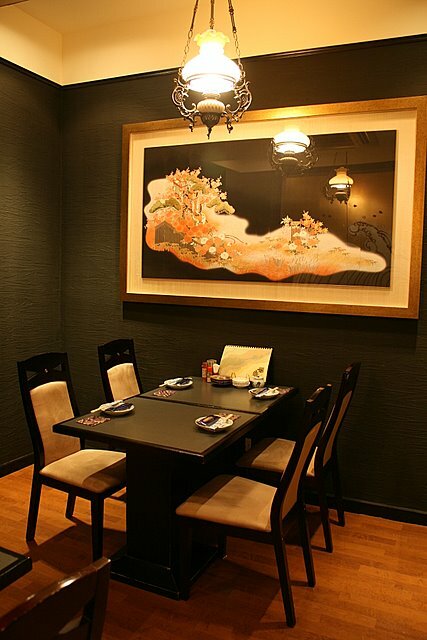 Tastefully decorated private dining is available for small groups (eight or less). The Japanese love their karaoke. 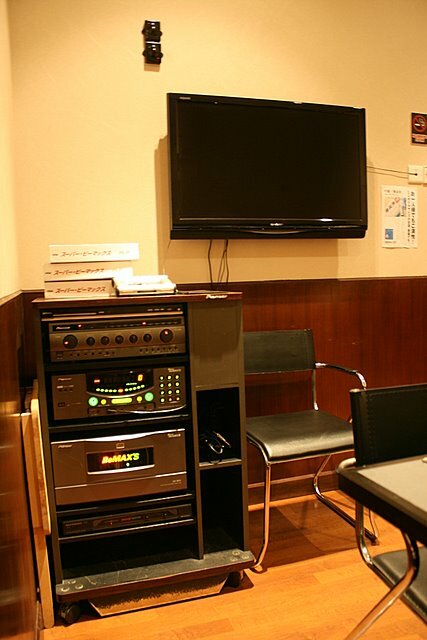 Tamaya has three private rooms fully equipped with karaoke facilities for those who enjoy singing with drinking. The kitchen is possibly large, occupying space between Tamaya and Cable Car (which also is also under the same group). The two outlets are interconnected upstairs too. 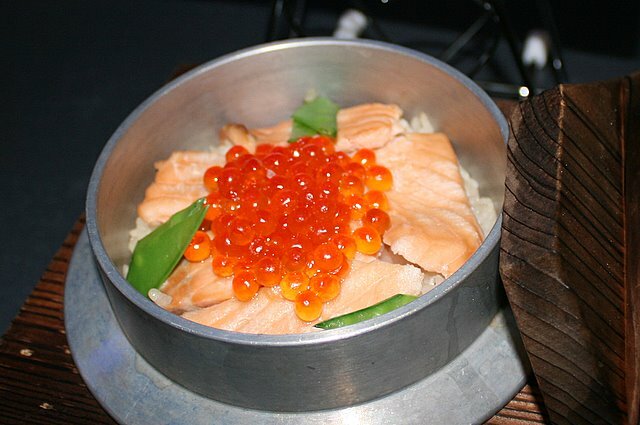 This is a sample of their salmon kamameshi (iron pot rice, S$15). The rice was subtly infused with salmon or dashi flavours, but was a bit too moist. Possibly because it was being kept in a warmer for the press. They have a fairly extensive menu - sashimi, sukiyaki, shabu-shabu (wagyu and kurobuta), sumiyaki, grilled fish, hot plate, deepfried items, rice, noodles and salads are broad headings. But some items are rather unusual - chanjya (codfish intestines with Korean spicy sauce) and kuroika shiokara (salted black squid guts) among the appetisers stand out, along with syuto & cream cheese (salted skipjack tuna guts with cream cheese - who would have thought of such a combination?). House favourites include Kurobuta pirikara-ni kami tsutsumi-yaki (spicy kurobuta pork simmered in wrapped paper) and nasu to tomato no shiromiso gratin (eggplant-tomato gratin in white miso). 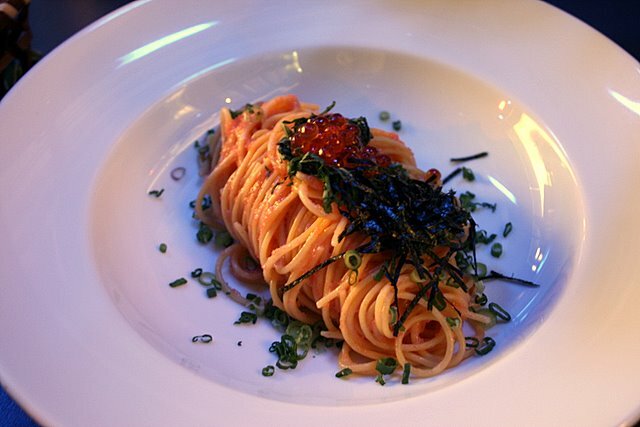 There are also some Western-influenced or "fusion" dishes, like mentaiko spaghetti (spicy cod roe spaghetti, S$19)and Caesar salad. The pan-fried scallops and potatoes with mentaiko in mayo sounds like a delicious combination, if a little sinful. 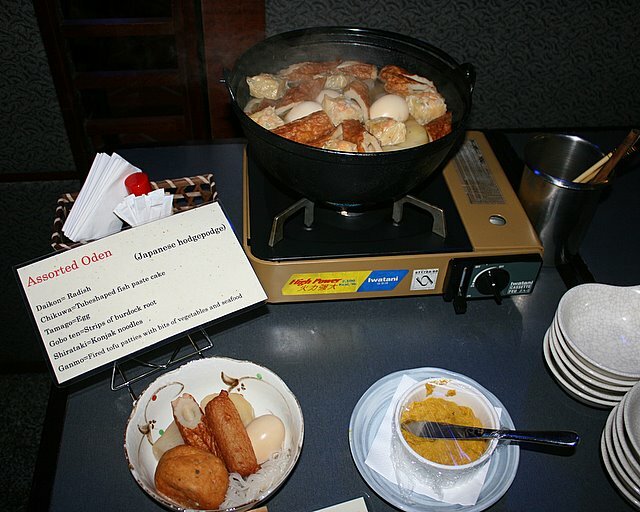 I'm not a fan of oden, but I found myself enjoying this the most. Tasty, clear broth with very fresh daikon and fishcake ingredients (S$15 for assorted oden). Very refreshing! Next time I must also try the buta gatsu nikomi (simmered pork tripe) that I spotted on the menu. 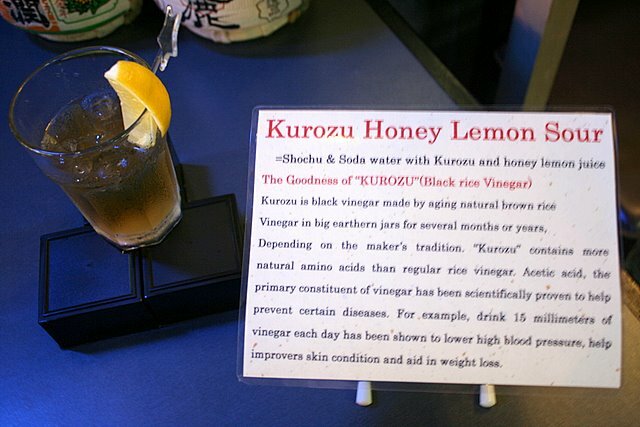 They have a wide range of "sours" - mixed alcoholic drinks, some containing black vinegar which supposedly gives health benefits. They taste really light, but you can feel the alcohol taking effect. 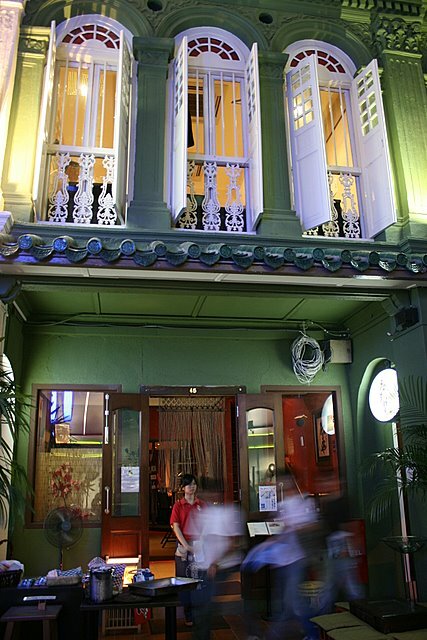 Tamaya still retains the traditional Peranakan shophouse facade, so it's rather quaint. I think it's a simple, casual, non-pretentious place. 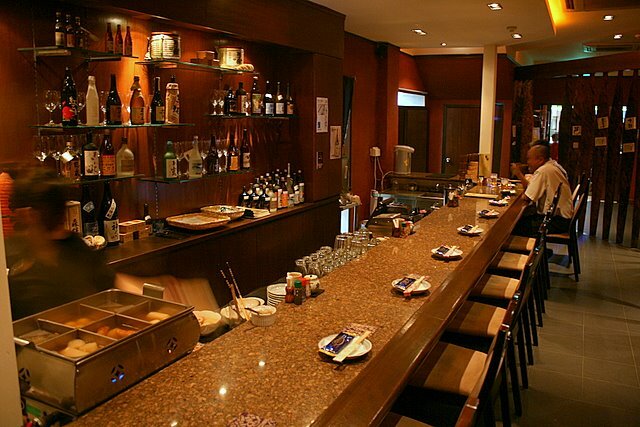 Of course, this being an izakaya, there's lots of sake and shochu. I'm not sure the food served that evening (it was for a media event) is representative, as it's pre-prepared and kept in warmers. That could affect the taste and texture. I should like to check out the food on my own another day. Someone who did so raved to me about the chutoro (semi-fatty tuna belly, S$38 as sashimi, S$20 as nigiri sushi) and tonpei-yaki (egg omelet with pork and cabbage). I'm not too crazy about Ohsho but maybe Tamaya will have better food. wow.. it looks very nice place ! Hey! I had been to the one previously at Cuppage Terrace on the second floor (29A Cuppage)..Had enjoyed the wonderful ambience then...the new one (now @ 45/47 Cuppage Terrace) apparently is better with the alfresco dining and a wider choice of menu selections.